Första snön för i höst kom alltså redan på kvällen den 13 oktober. The boys should have been sleeping but I couldn´t resist letting them out in the middle of the night to feel the white. 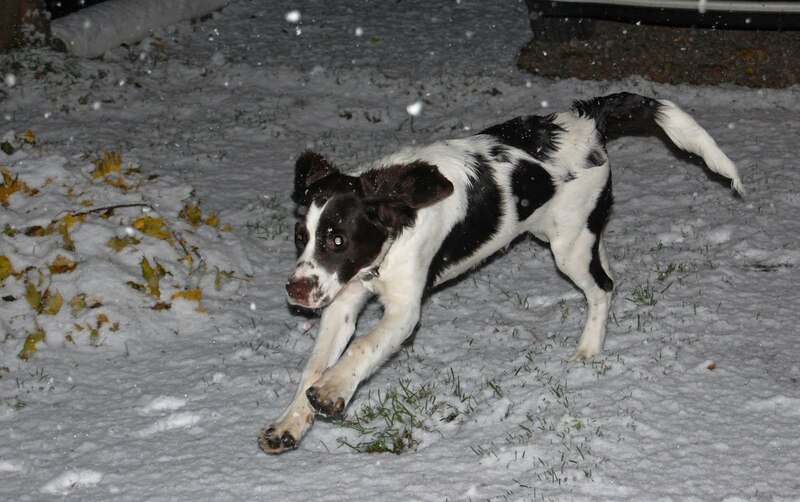 A little strange for the drents, just 5 months old, but soon they vere playing in the snow tumbeling around. 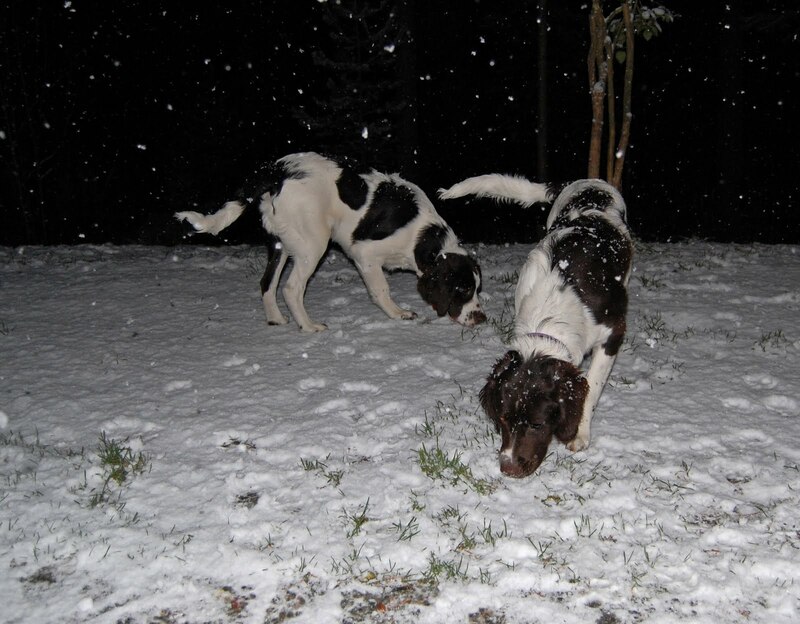 As you see they liked to run in the snow and I wonder what they will like it in the morning? A lot more will come during the night and probably melt away in some days. Soon winter and then we will start skiing and sledding with the older ones. and now is wintertires needed.